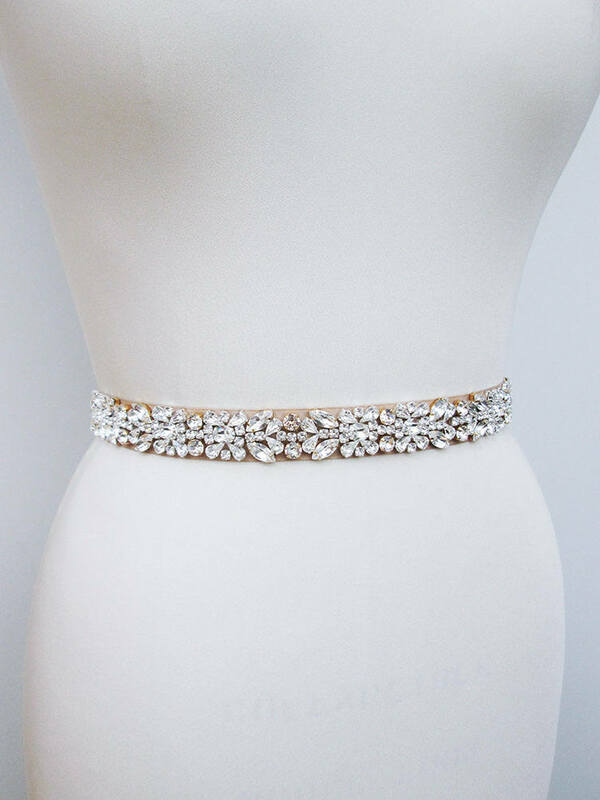 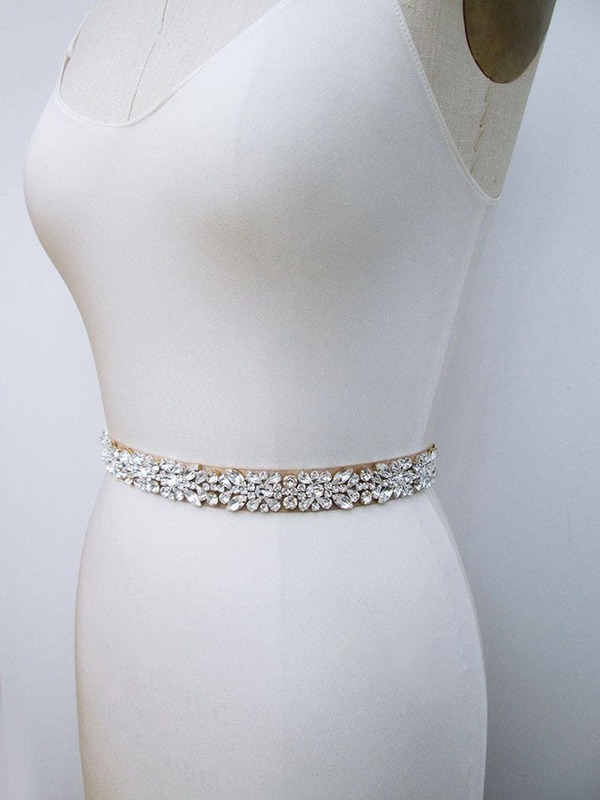 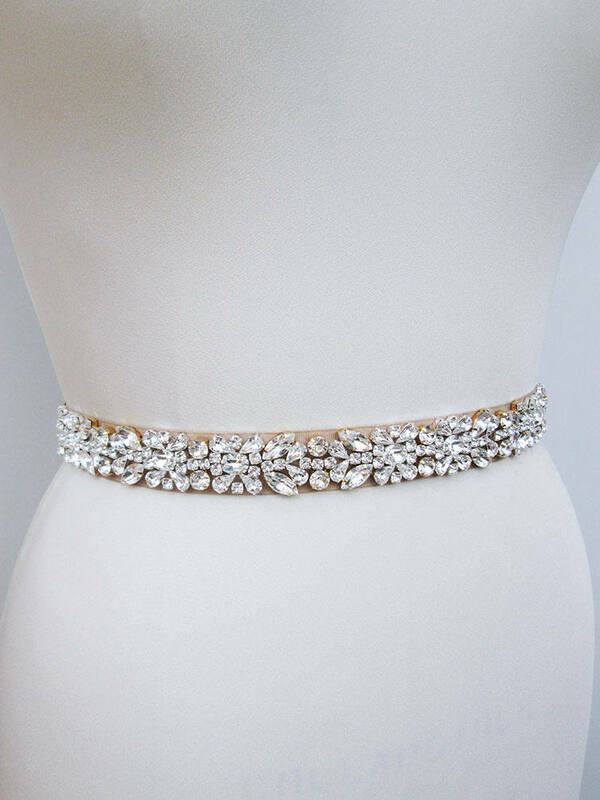 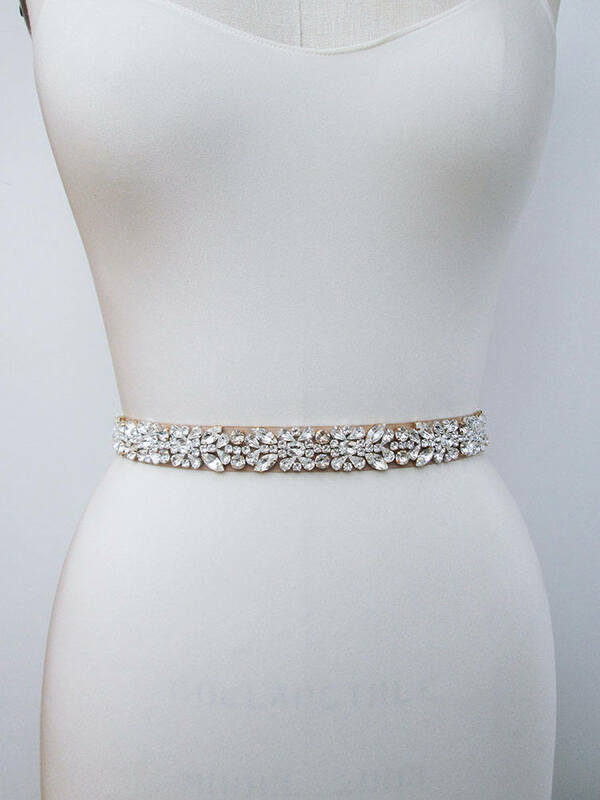 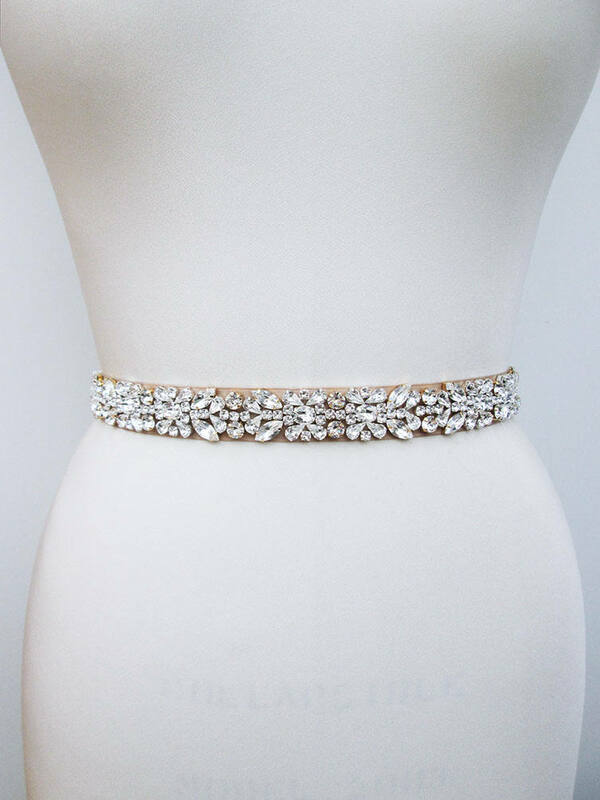 This beautiful bridal belt is made with all fancy Swarovski crystals hand set in gold and silver settings and appliquéd on a grosgrain ribbon sash. 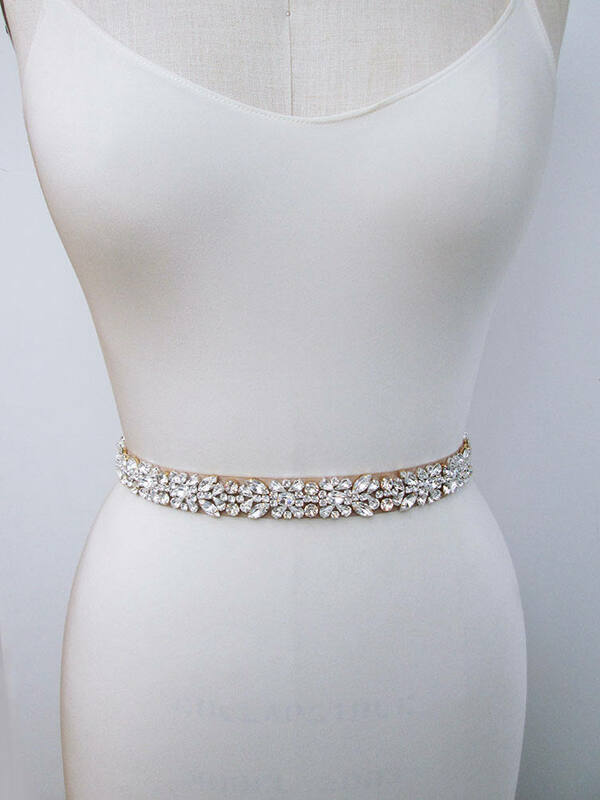 The sash measures 1" wide and 140" long. 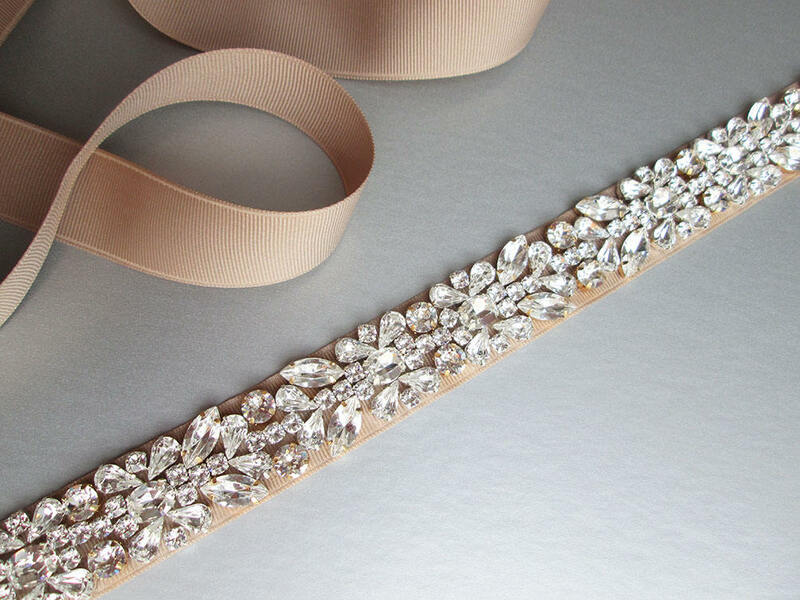 The crystal part of the belt measures 24" long. 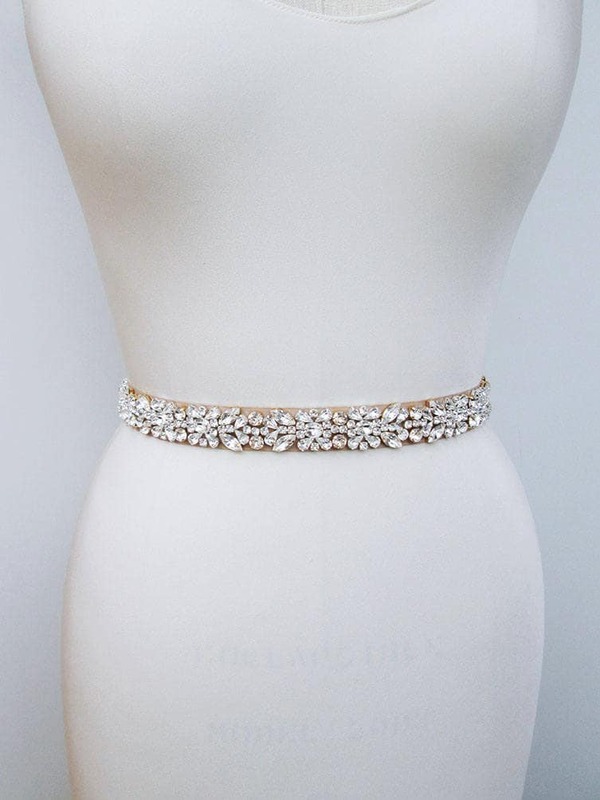 This belt is available in gold, silver, rose gold or gold/silver finish. 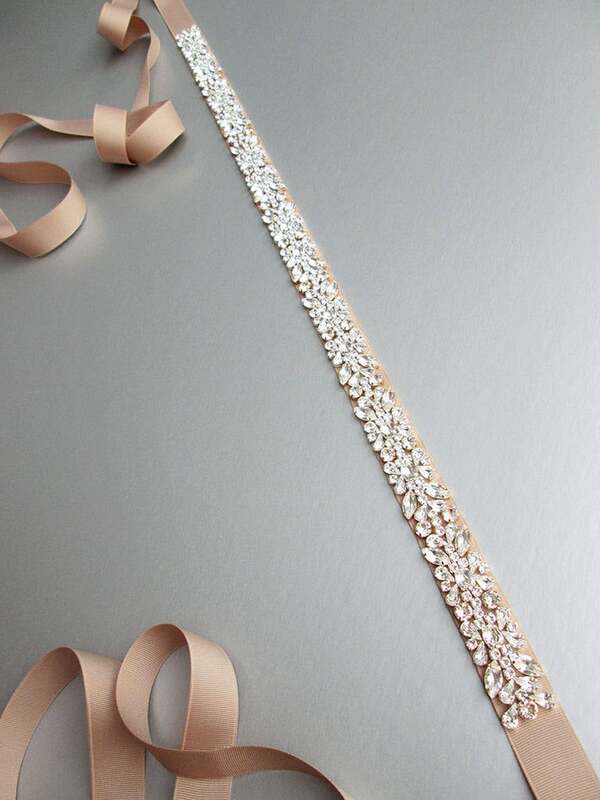 Shown in the photos in gold/silver finish with dusty mauve grosgrain ribbon. 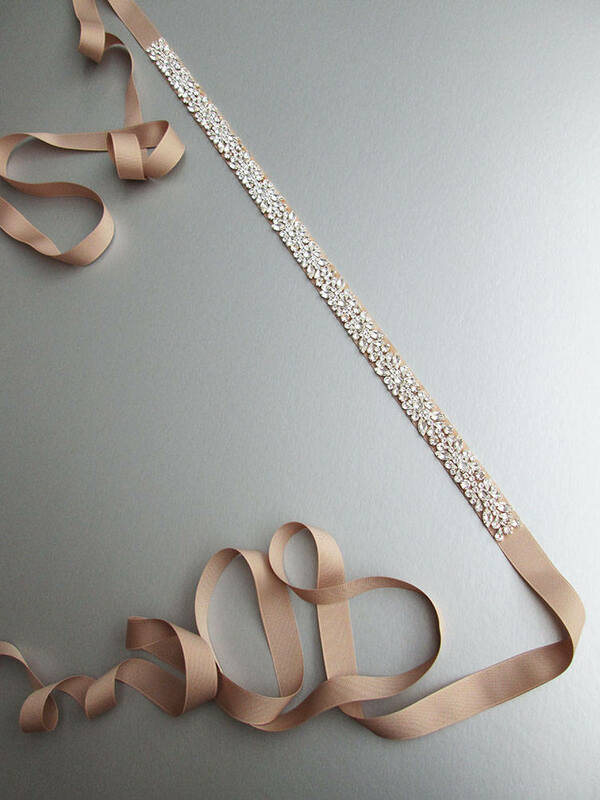 Available with grosgrain or satin ribbon.